Why do Customers choose Moneyboat? Moneyboat are a direct lender – not a broker. This means that we deal with your loan application directly. Our daily interest is at an industry low compared with other UK payday lenders. We respect your privacy and value the importance for safe and secure transactions. MoneyBoat’s systems are fully encrypted and data is regulated and confidential. Come rain or shine, Moneyboat understand your short term finance needs. As an FCA authorised and regulated UK direct lender, we will work with you on a range of affordable options to help you weather a stormy financial patch. Applications are 100% secure and online and can be placed 7 days a week. So climb aboard! Talk to our friendly and discreet customer service crew, weekdays from 8am – 5:30pm. We’re here to help you stay afloat in your time of need. We are a customer service oriented company with an understanding and helpful team at your service. We offer direct loans of up to £800 for new customers and up to £1500 for returning customers. See our Charges page and the FAQ’s for further information. We are committed to providing a personal, discreet and transparent service throughout your experience. Although convenient, payday loans are not suitable to be used as a long term financial solution. We will always let you know what you will need to pay and when, before making a decision to borrow from us and throughout your time as a customer with us. 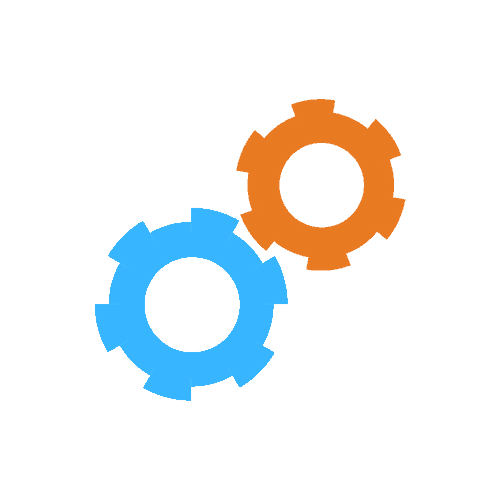 As we are a direct lender, you know you are borrowing directly from us and we have full control of the lending process. New customers can borrow from £200 to £800. Loans are repayable over a minimum term of 2 instalments and a maximum of six months. The minimum instalment duration for the first instalment is 5 days. Existing customers can borrow up to £1500, subject to passing our credit and affordability checks. Customers may payback their loan early with no penalties or fees. Looking for a direct lender loan on a personalised payback schedule? Direct lender loans are not the same as broker loans, as the whole process from application to repayment is handled by the same provider. A direct lender will therefore have all of your information to hand to answer any questions you may have and resolve any issues directly and efficiently. Direct lenders are also able to offer flexible repayment plans and work with you collaboratively, rather than simply brokering a deal on behalf of an external lender. This means that the application process is faster and you could be approved in a few hours as all decisions are made by one company. Brokers are reliant on a third party, so the time from your application being approved to the funds being deposited can be considerably longer. It is important to check how the company identifies itself, as brokers can often present themselves as a ‘loan providing service’. 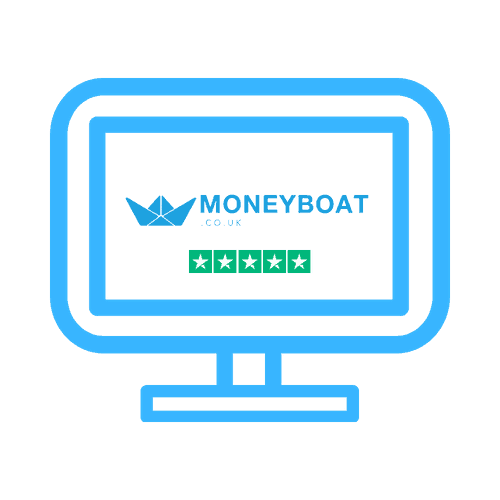 Moneyboat customers will always receive a clear repayment schedule and enjoy a transparent and fair lending experience from us, as responsible UK direct lenders. Is an online direct lender loan the best option for me? Payday loans continue to receive bad press, yet people often overlook the benefits they provide. See our if our loans suit your needs. We are direct lenders, which means we fund the loans ourselves rather than requiring any third parties for funding. Many people seek loan debt help in the UK. As with any form of credit, individuals should take care before applying to ensure they can make the repayments. Although a payday loan does come with a higher interest rate than many other loan products on the market, it can be of great help to those who need cash quickly. Our loans are a great option if you need some quick cash and you know you can pay it back. Then we’re here to help! However we do not recommend using a loan as a solution to a long term financial issue. Individuals often question whether it could be beneficial to take out a loan for something other than a house or vehicle. The answer to this question is yes. One should never put off needed dental care simply because they don’t have the funds to pay for it. Although the NHS does pay for a some of these costs, individuals must pay for a portion of their fillings, extractions, crowns, dentures and bridges. A quick, flexible loan can help if the person needs this work done but does not have the funds to pay for it. However, it is important to be aware that the amount to be borrowed will often be more than the cost of the dental work, as most direct lenders in the UK do have a minimum borrowing amount. If a person needs a vehicle to travel to or from work and the vehicle breaks down, a loan could be obtained to pay for the repairs if there is no other available option. However, a person should not borrow money for an unplanned holiday simply because they can get a good deal at that time. As responsible UK direct lenders, we recommend borrowers distinguish between the items that they want and items they need and borrow on that basis. Consumers in the United Kingdom turn to Moneyboat when they find they need cash quickly to tide them over. We are known for providing affordable and responsible loan solutions at a comparatively low daily interest, with no hidden charges. Our charges and repayments are easy to understand, and we have streamlined the borrowing process to make it easy for you to get the funds you need in a timely manner. We offer a variety of options, so you are not forced to take a loan that does not mean your needs. Every application that we process is subject to affordability and credit checks in line with our credit criteria. Following are some tips consumers need to keep in mind when borrowing money. These tips apply to all types of financing, not just loans from direct lenders. Take time to compare lenders. Many individuals fail to take this step simply because they need money quickly. Doing so can cost a consumer a great deal more in the long run, so it is one step that should never be neglected. Consider the amount to be repaid before borrowing money. At times, it is best to have a loan with a shorter repayment term, while a lower annual percentage rate is better in other cases. Fortunately, there are numerous calculators available online to help consumers compare loans and repayment terms. Understand the difference between a secured loan and one that is unsecured. Secured loans are backed by collateral that may be lost in the event the borrower defaults on the loan. For example, a mortgage is a secured loan, and the home may be taken by the lender if payments aren’t made as agreed. Do not borrow money without considering other options. If a utility bill is due, talk to the provider to determine if payment arrangements can be made or speak to charitable organisations to determine if they can help. Taking out a loan is not something that should be done without careful consideration, regardless of whether it is for a small amount or a large sum. Establish a budget to ensure repayment obligations can be met. Many individuals fail to take this step, only to find they have financial problems again when the repayments come around. A budget helps to prevent this and ensures the consumer can make payments as agreed.